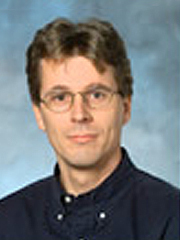 Professor Gygi’s research interests include the development of accurate numerical simulation methods for applications in computational materials science, as well as computational physics and chemistry. He is involved in the development of algorithms for First-Principles Molecular Dynamics, a simulation method that combines a calculation of atomic trajectories with a quantum mechanical description of electronic properties. This method is widely used to explore the properties of solids, liquids, nanoparticles and biomolecules. First-principles simulations are computationally expensive and require the use of large parallel computers. The integration of efficient parallel numerical algorithms in simulation codes is an important part of his research.